A few weeks ago, I was lucky enough to receive a copy of Lucky Spool's Essential Guide to Modern Quilt Making in the mail. I finally had some time yesterday to sit down and look through the book...and I'm very excited by what I saw! Lucky Spool's Essential Guide to Modern Quilt Making is a collection of 10 "Workshops" (or chapters) that cover everything from Color to Curves to Improvisational Piecing to Quilting. Check out the chapter listing. Each workshop begins with an expert spending between 4 and 12 pages talking about their subject. These lessons are then followed by a pattern that is based on their topic. I love this quilt by Kari Vojtechovsky in her Principles of Color Design Workshop. The end of the book contains A Study of 50 Modern Quilts, starting off with one of my favorite examples of Modern Traditionalism by Victoria Findlay Woolfe, Double Edged Love. 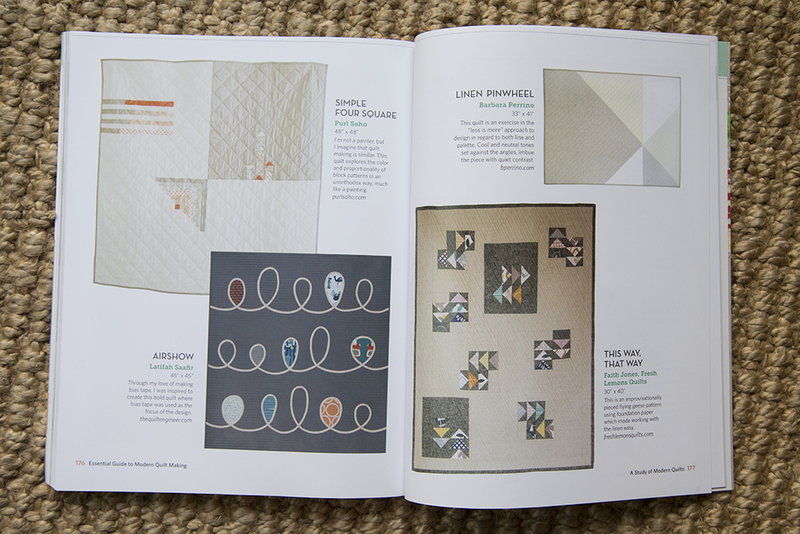 Each page has a grouping of quilts, organized by design and color. 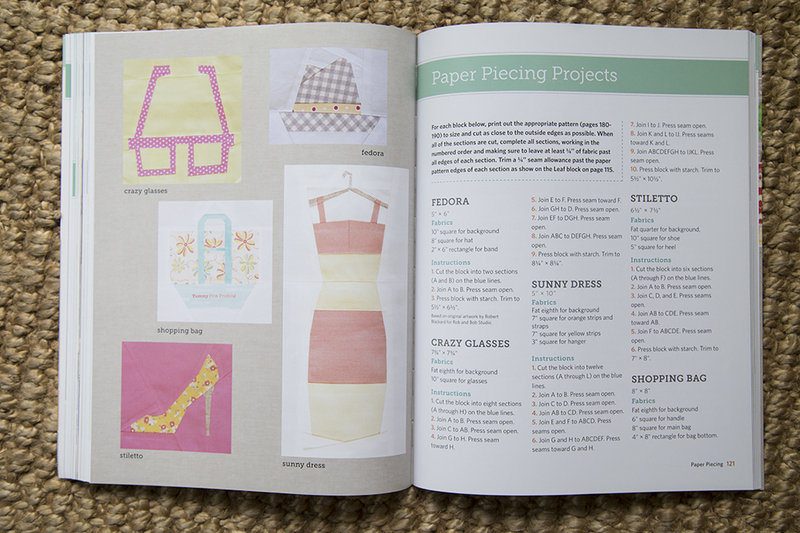 And the reason I received this book early, my This Way, That Way quilt was included! Although I haven't made any patterns from this book yet, I really enjoyed digging into it yesterday. I think Lucky Spool's Essential Guide to Modern Quilt Making would be an awesome resource for quilt guild libraries, as well as home libraries. If you are interested in Modern Quilting techniques, I highly recommend checking it out.